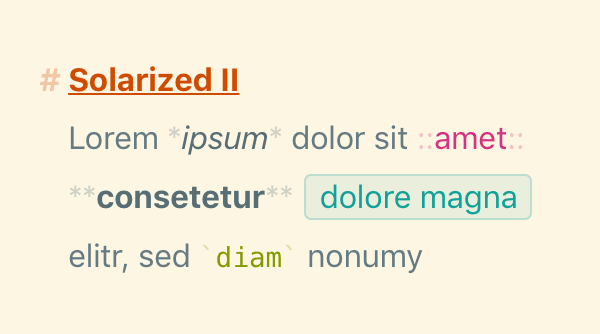 A solarized theme based as closely as possible on Ethan Schoonover's original, carefully thought out Solarized theme for Pandoc Markdown in Vim. 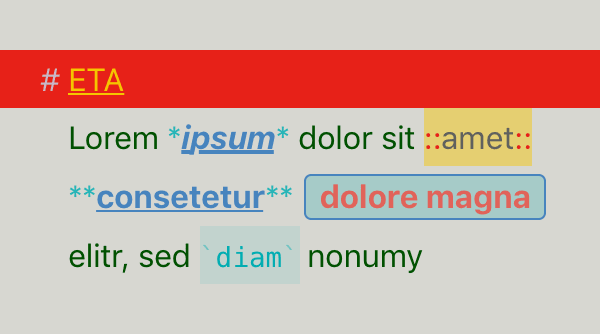 It uses only (almost, see below) the original colour palette. 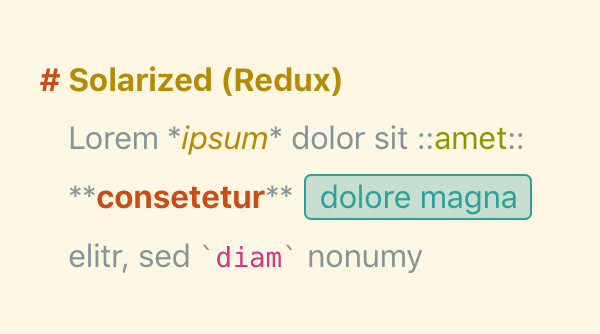 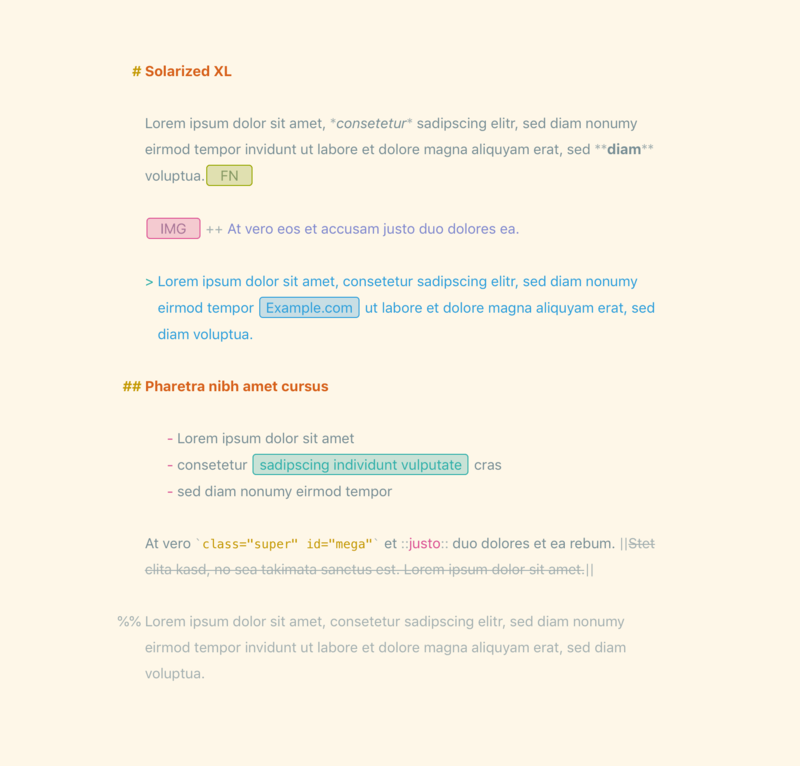 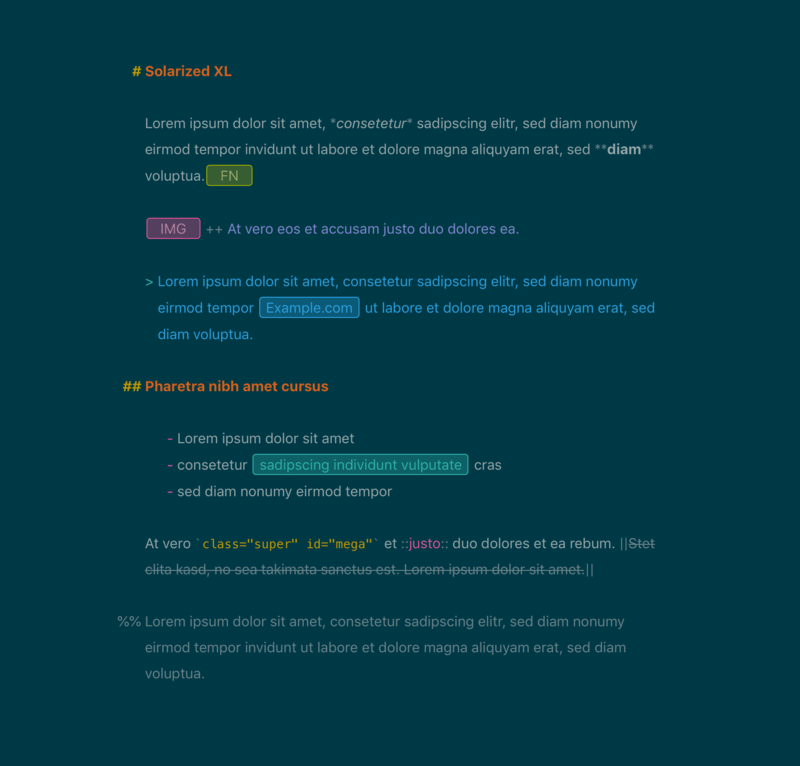 The most significant differences from his theme—given the differences between Pandoc Markdown and Markdown XL—are that comments are not italicised, that inline comments are violet instead of lighter/darker grey, making them more visible amidst running text, and that double-clickable entities (link, annotation, footnote, image and video) have a tinted background that is not part of the original colour palette.